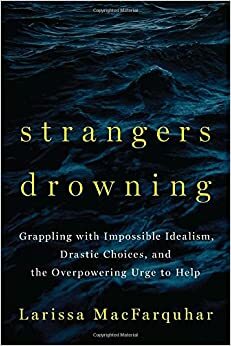 Larissa MacFarquhar’s book Strangers Drowning: Voyages to the Brink of Moral Extremity profiles a few extraordinary individuals living lives of extreme ethical commitment. We meet a family that founded a leper colony out in the wilderness in India, despite the risk to their children. We share in the hardships of a couple who adopt twenty children alongside two biological children because they keep finding young people in need. We follow a nurse on an incredible journey of hunger strikes and self-sacrifice to bring about change for her people and protect some of the most vulnerable women during conflicts in Central America. And we get to know people who donate large percentages of their money to the most worthwhile causes. They push themselves to the brink of their own moral standards. For them, unlike for most of us, there is little discord between their own beliefs and their actions. They are in many ways “more free, because [they] can control [themselves], so [their] intentions aren’t frustrated by weaknesses [they’d] rather not have”. Yet these people are not heroes. They are “do-gooders”. A term chosen deliberately for its provocative nature. “Ordinary” people do not like do-gooders, there is something provoking about them. Is it their holier-than-thou attitude? Is it our guilt at not doing more ourselves? Heroes are for wartime, we learn. They are ordinary people doing extraordinary things because the situation calls for it. Those people we admire. We imagine we could be them, if disaster ever struck our neighbourhood. For “do-gooders” it is always wartime. These people go beyond your average “part-time, normal do-gooder – someone who has a worthy job, or volunteers at a charity, and returns to an ordinary family life in the evenings”. Their work is never done. The people they need to save include not just their family, their community or victims of a particular illness, but all victims of all suffering throughout our entire world. Between these intimate stories of do-gooders Larissa weaves the history of our conception of do-gooders through developments in psychology, political theory and philosophy. Why is society so suspicious of do-gooders? Looking at our cultural history suggests some answers. Misreadings of Darwin make only selfishness natural, and thus altruism a form of deviant behaviour. The need for consumerism within Capitalism sets as the norm the egotistical consumer. Even the sacrosanct nature we attribute to human frailty, the love within fiction for the flawed, complex hero battling her own imperfection can lead to an idealisation of the selfish. It seems society is against our do-gooders. Somehow, they are not to be trusted. Questions over whether they are truly doing the right thing, the moral thing, the human thing, are left hanging. Larissa seems purposefully quiet in her own book. She makes no argument, only carves a path through history and leads us to extraordinary – if disconcerting – people. As we dig deeper into their lives our do-gooders’ stories stray into the darker realities of committing your entire existence to a higher calling. Our caring parents of twenty-two children struggle with children with terminal conditions and are almost torn apart by tragedies under their roof. We find our nurse’s abusive past keeps her too long with a stifling husband and we hear “do-gooders” compared with codependents, interfering in problems and in countries they do not understand for their own moral satisfaction. Our do-gooders are driven to work without sleep, without comforts and without friends. Many question their every action, feel alone in the world and drive themselves to despair. The children of the founders of the leper colony survive, but what if they hadn’t? Would one twist of fate have converted them from local celebrities to cruel and terrible parents abandoning their parental duties and putting their children at risk? This question is asked but never answered in the book. What judgement do we make of these people who seemingly put their own happiness and that of their nearest and dearest at risk for strangers? The reader is left to decide. The title of the book ‘strangers drowning’ links with a question Larissa asks her subjects; would you save two strangers from drowning or your partner? How many strangers would outweigh the life of your partner? Neither Larissa, nor her subjects, nor the book answers this question. Despite the inspiration I take from many of these stories, this is what makes me sad about Strangers Drowning: the book does not invite us to jump in and save all three. There is no call to action to changes any of the injustices we see. I feel endlessly beaten by the weight of suffering in the world and yet am not encouraged to fight back. I’ve always felt positive about the giving I do and that it makes a difference. In Stranger’s Drowning you either leave your wife to drown or you do nothing. The middle ground I and so many people I know occupy – who, together, make a huge difference in the world – are dismissed in one sentence at the beginning of the book as every day do-gooders and volunteers. As I grew more frustrated with a societal narrative that seemed to discourage a truly ethical life and felt more and more sorry for the individuals Larissa profiled I raced towards the end of the book, reaching for the ultimate conclusion. Does the world not need these people? Would we be happier if we could all shake off this group narrative celebrating selfishness? If we all took on some more of the burden perhaps the few would not need to drive themselves so far to pick up the slack of the rest of us? Were we all to become “do-gooders” she states, then the world would be “so utterly different as to be nearly unimaginable.” Whether this would be a good thing or not is left hanging. Yet without do-gooders “showing what a person can do for strangers if he sets himself to do it fewer would try”. But with burdens and pasts that seem to make our do-gooders miserable, in a world suspicious of them, Strangers Drowning leaves little inspiration to try. In Strangers Drowning there is no call for us to leap in and help save strangers from drowning. We are left entirely as we were. We are still “us”, the do-gooders are still “them”. With this divide still intact I am saddened to find we are free to continue our lives just as before. Perhaps this is precisely why doing good seems like such a burden to many of our do-gooders. The burden falls unequally on them alone while we are free to sit back. That’s too much weight for a few but if we each lifted a bit more each individual burden would be light. I am fortunate to have many wonderful friends in the Effective Altruism movement with which to share the load and through which I was able to reach out to Julia Wise. She, along with her husband Jeff, is one of the do-gooders in Strangers Drowning. I asked her if this was really a true portrayal of what giving was like for her. 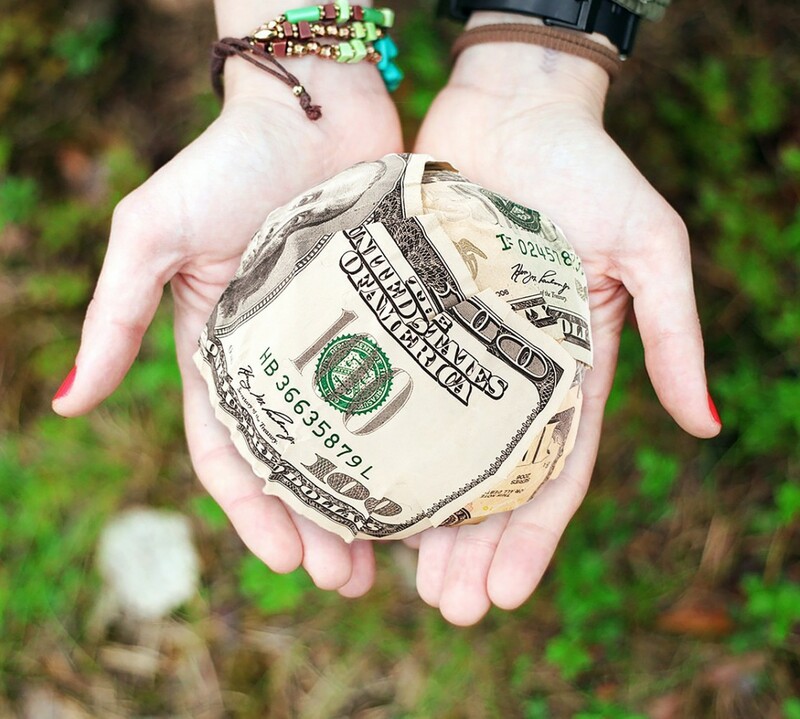 Julia writes a beautiful blog called Giving Gladly about her experiences, and this feels like a reflection of what giving could be like if we all took on a little more. We need more stories like Julia’s. Stories of people who do “save all three”, but not through great sacrifice nor unusual achievement but simply by living an ethical life that balances the needs of others with theirs. We often seem to focus on the most extraordinarily effective givers. People like Bill Gates, Elon Musk or clever graduates who go on to be bankers earning six figures to give away most. Reading Strangers Drowning reinforced in my mind that the voice that is missing from these narratives is that of the ordinary person. People who give their extra income to buy antimalarial bednets and try to eat less meat. People who run local groups to fundraise for top charities. People who volunteer on promising projects, speak to their MP or simply just try to encourage others. These role models remind us that we – the ordinary “us” in Strangers Drowning – can also make important positive changes in the world, especially when we act together. Larissa’s portrayal of the do-gooders moved me, yes. Julia’s story fills me with hope and inspires me to action. I will not leave two strangers, my partner or the do-gooders drowning.